When a team of scientists led by Dr. Irwin Burns tests an experimental drug that increases aggression in animals and humans, their biochemical lab explodes and a mutated nightmare escapes. 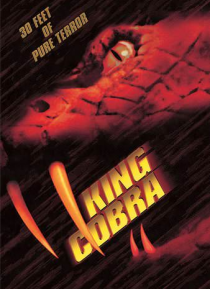 Half African King Cobra and half Eastern Diamondback Rattlesnake, Seth is pure evil. He's 30 feet long with a giant appetite for terror! As the nearby town of Fillmore prepares for its annual lager beer festival… , Seth moves in for the kill, turning celebration into fear and panic.